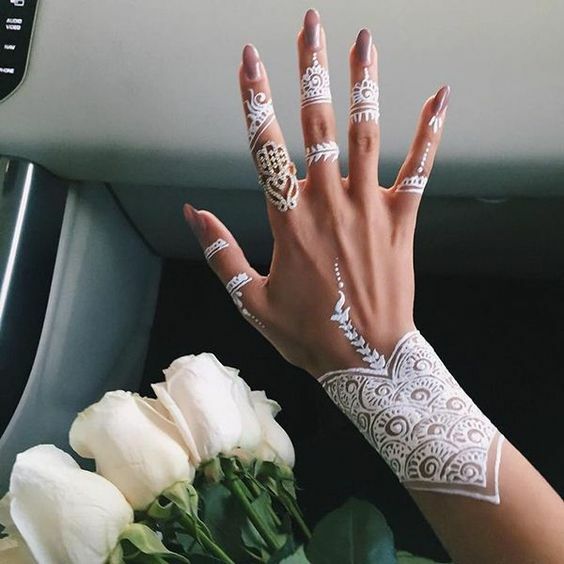 Henna is a small flowering shrub that is turned into a fine powder that’s used for dying clothes, hair and temporarily dying the skin —henna tattooing. 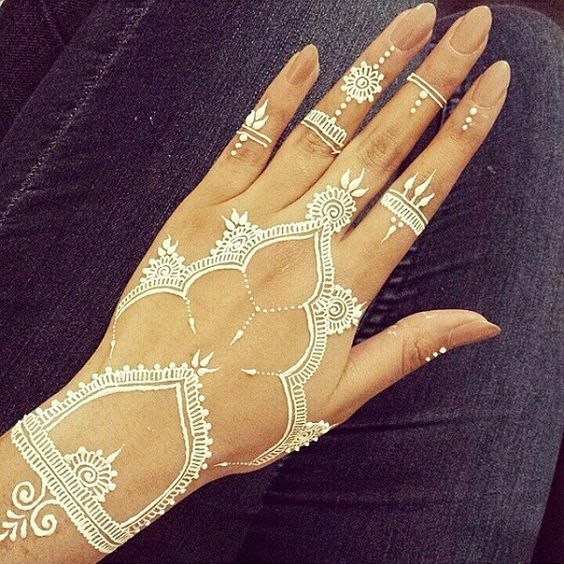 The exact origins of henna tattooing aren’t clear, however the tradition dates back as far as Ancient Egypt. 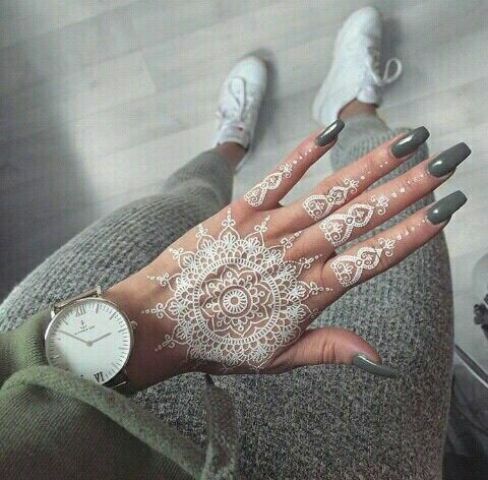 A henna tattoo will last between one and three weeks, it depends on a few factors like skin type, lifestyle and body part. 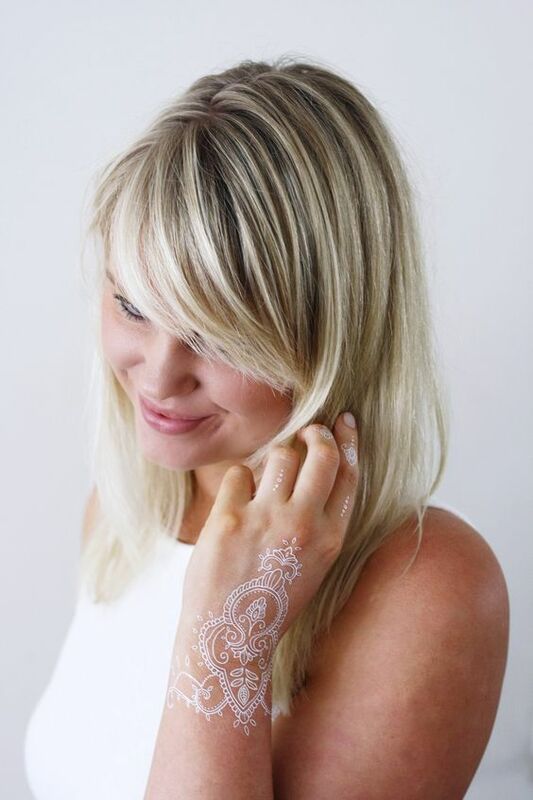 White henna looks like an exciting option for darker skin tones, and it’s pretty and unusual. 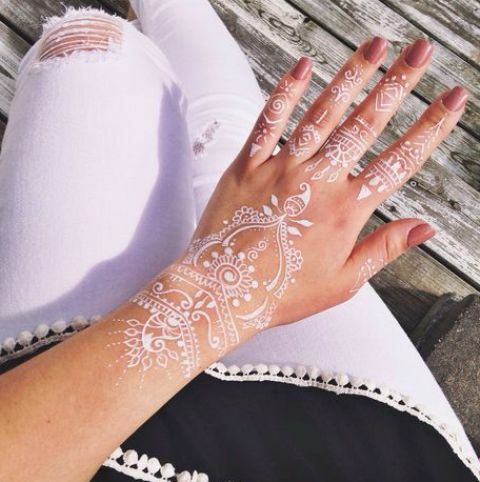 Henna tattoos are usually floral, lacey, boho ones, only for girls, so they will make you look very feminine. 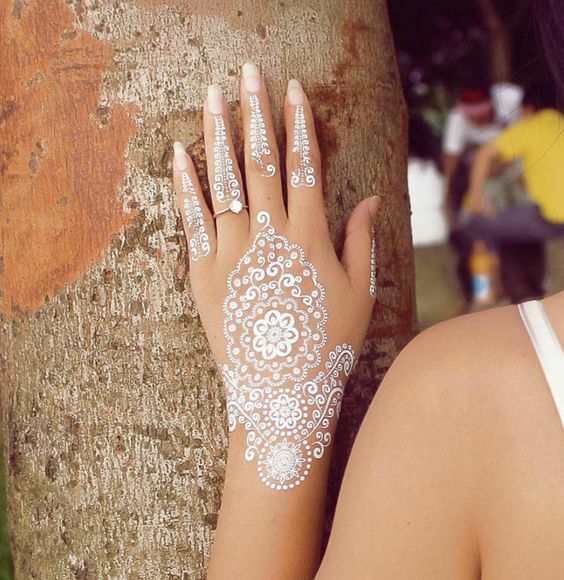 Summer is coming, and you can try such cool tattoos for your tanned skin to catch an eye. 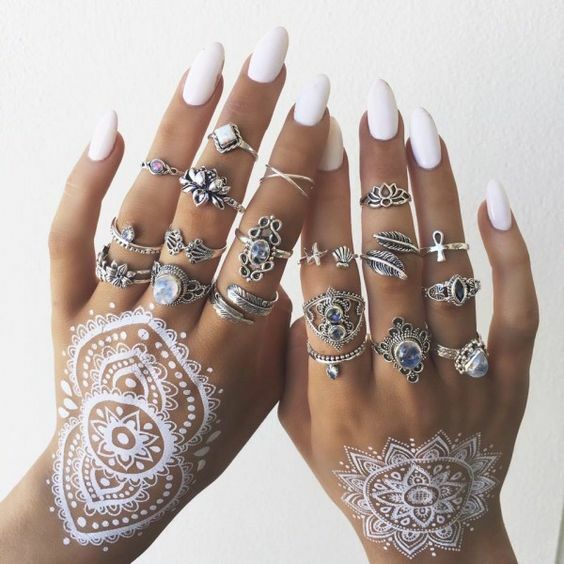 Here are some pretty ideas. 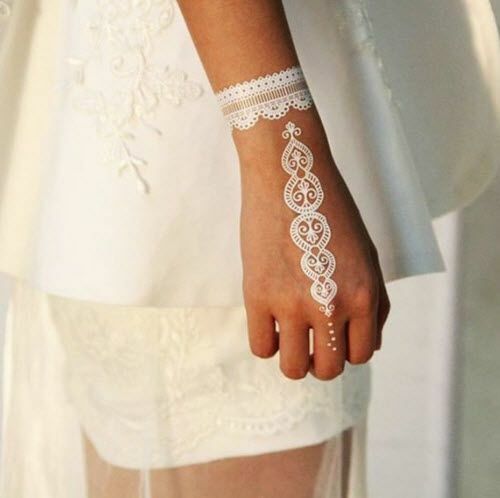 Accentuate your feet with cool white henna patterns, this is a nice idea to go to the beach and you will definitely catch an eye – ideal for a seaside holiday! If you are a beach bride, pay attention to them, too, it will be your perfect accessory. 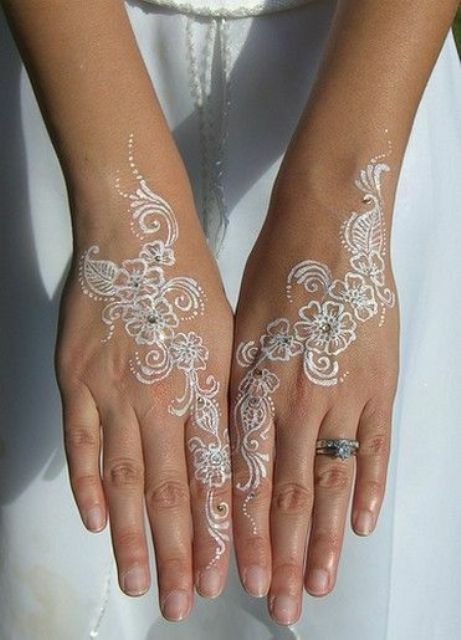 White henna tattoos are mostly placed on hands and arms, this is the most popular placement ever. 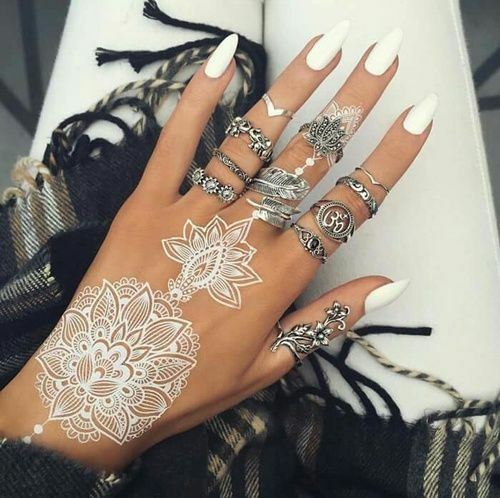 These can be finger and hand tattoos, a large wrist-hand-fingers tattoo, a wrist going to the arm tattoo and so on – this is up to you. 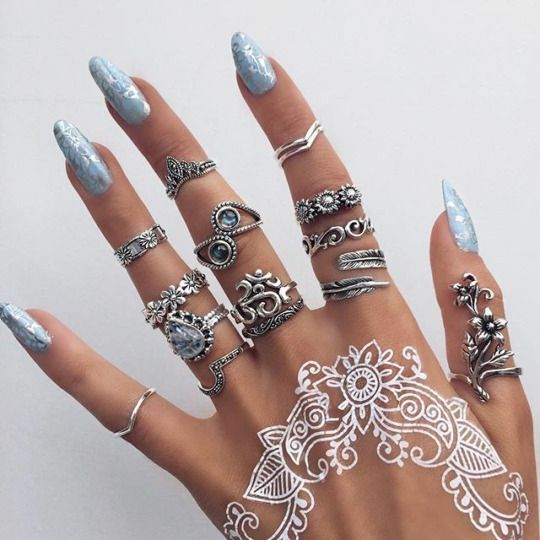 Rock tattoos on both hands, if you want, they can be different. 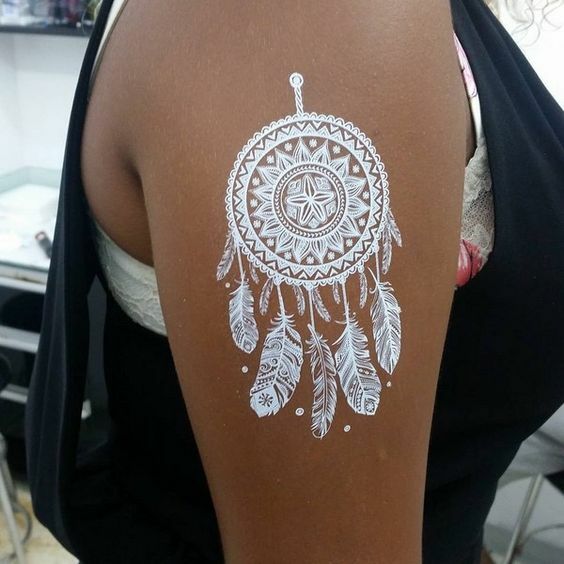 White henna tattoos can be also placed on shoulders, chest and back. Why such placements? Because they are usually seen in bikinis and swimsuits of different kinds. 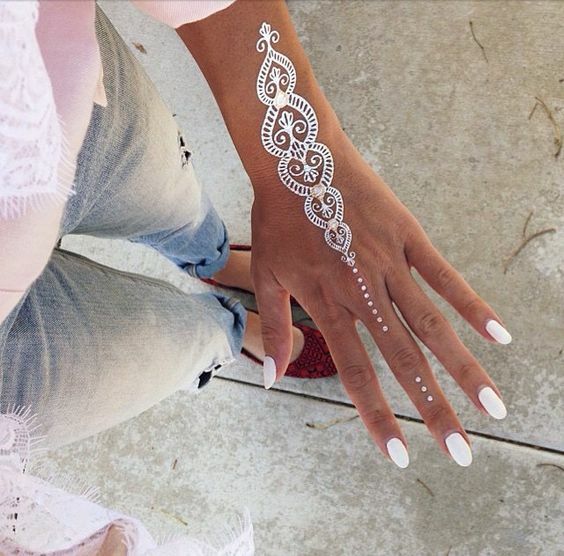 Rock a gorgeous statement tattoo on the back and matching ones on the arms. Try a large shoulders to the chest tattoo if you want – looks cool with a bikini!